MHP Vise Chairman Celal Adan and MHP Istanbul Province Chairman Mehmet Bülent Karataş visited the desk of Alanya Municipality taking part in Accessible Life Fair in Istanbul. 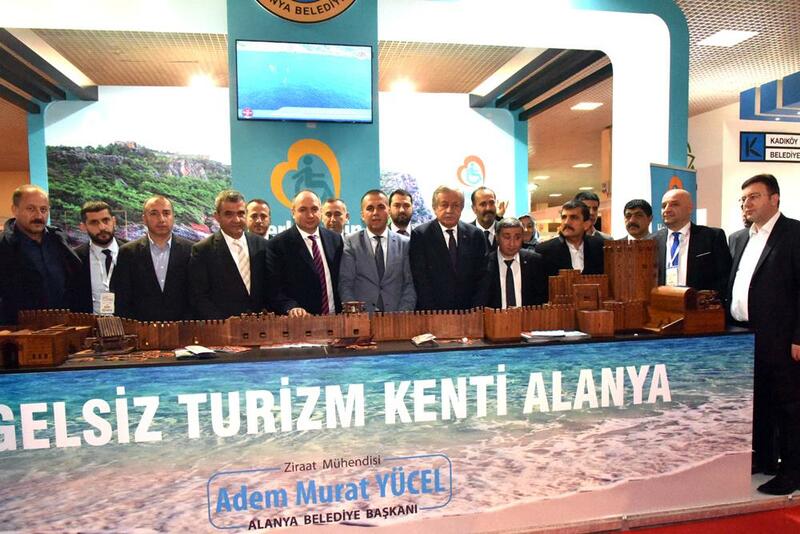 Vice Chairman Adan, who liked the project and studies within the context of “Accessible City Alanya”, congratulated mayor Yücel for the works calling him on the phone. Protocol members, individuals with disabilities and visitors paid great attention to the desk of Alanya Municipality taking place in the 9th fair in Istanbul. MHP Vice President Celal Adan and MHP Istanbul Province Chairman Mehmet Bülent Karataş were also among the visitors. Thanks to 3 December World Day of People With Disabilities, MHP Vise Chairman Celal Adan and MHP Istanbul Province Chairman Mehmet Bülent Karataş,MHP Central Msnagement Committee Members and MHP Istanbul Town Cairmen visited the desk of Alanya Municipality taking part in Accessible Life Fair in Istanbul. Vice President Adan, who took information about the projects of the municipality for people with disabilities from Alanya Municipality Deputy Mayor Nazmi Yüksel in the fair, watched the trailer of Alanya Municipality made for people with disabilities. 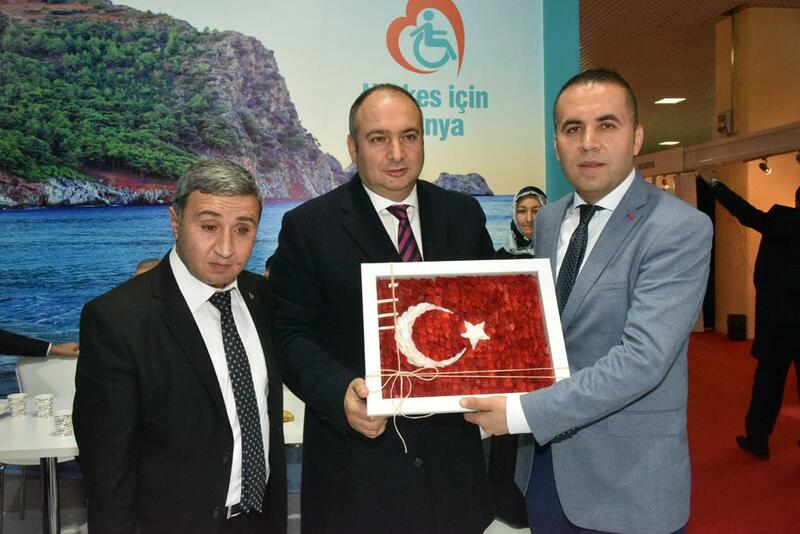 Adan, who stated that they followed the studies and projects of Alanya Municipality with great admiration, called Mayor Adem Murat Yücel during his visit and thanked him for the successful studies for people with disabilities. After the visit, Alanya Municipality Deputy Mayor Nazmi Yüksel presented a Turkish Flag made of cocoon to MHP Vice President Celal Adan and MHP Istanbul Province Chairman Mehmet Bülent Karataş.